The first time I visited a Shake Shack, I was in New York City. The restaurant pops up on a lot of those lists of things you have to do while in the Big Apple, and I will admit, it was a pretty dang good cheeseburger. Of course, It was also eaten after a long day of walking through miles of museum galleries, so the level of starvation could have something to do with the memory of the tastiness. 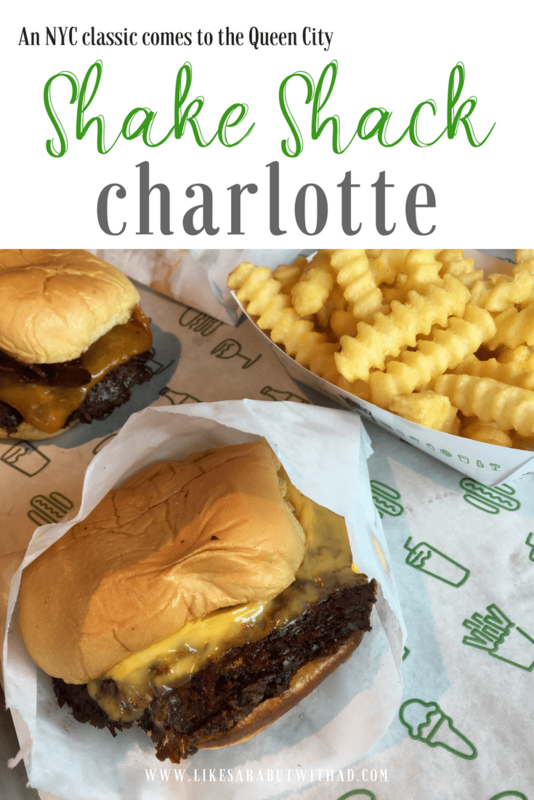 Nevertheless, when I heard last year that Charlotte was getting its very own Shake Shack I was ecstatic. I couldn’t wait to dive into that amazing cheeseburger from my memories again, and see if the Queen City version of the Shack would hold a candle to the NYC version. 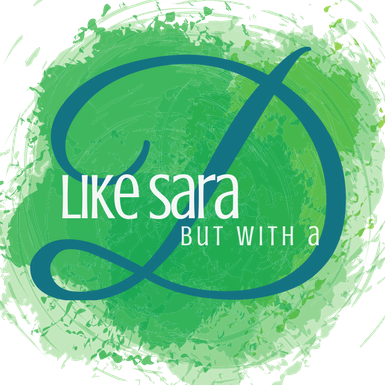 Well…the answer is yes, you should check it out…but maybe just the one time. It still has the same cool vibe that you find in the NYC version. 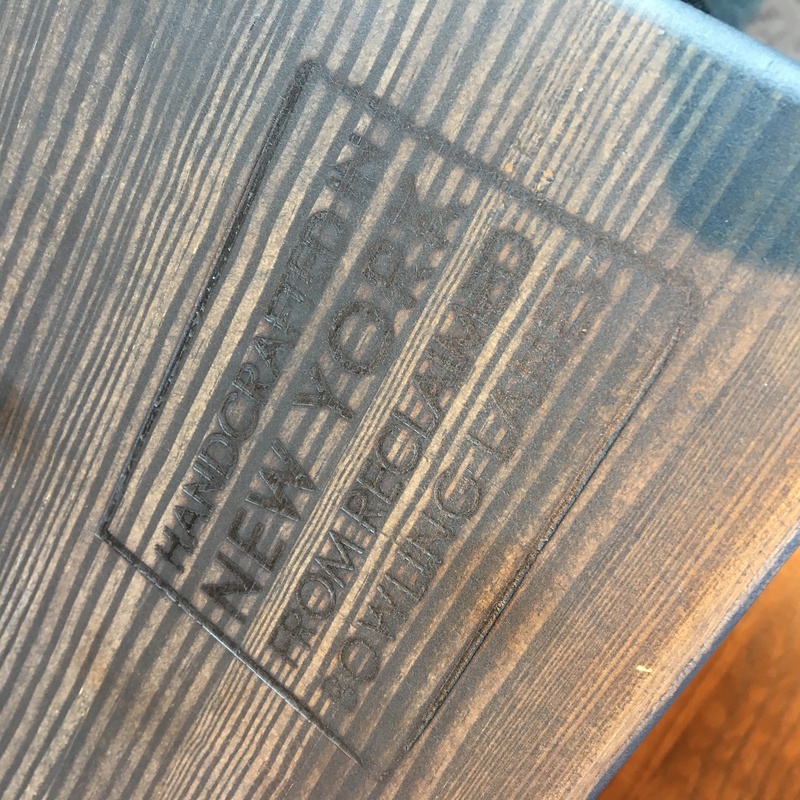 The tables are made out of reclaimed wood that came from New York bowling alleys, and the metal and concrete accents all fit with the theme of the Manhattan spots. The food is tasty. Not quite as tasty as I remember it being in NYC, but pretty good nonetheless. The burgers are juicy, the fries crispy and salty, and the shakes…well, they don’t call it Shake Shack for nothing! Those three reasons make it an eatery you should definitely add to your list. Now, the cons. There is really only one con, but it may be the one that keeps it from being your favorite place to grab a burger: the cost. The tab was kinda hefty when I was in NYC, but those were Manhattan prices and were to be expected. However, the Shake Shack brought those Manhattan prices with them down to Charlotte, but here, we can get a very similar order at SmashBurger, Burger21, or even Five Guys for at least $20 less. 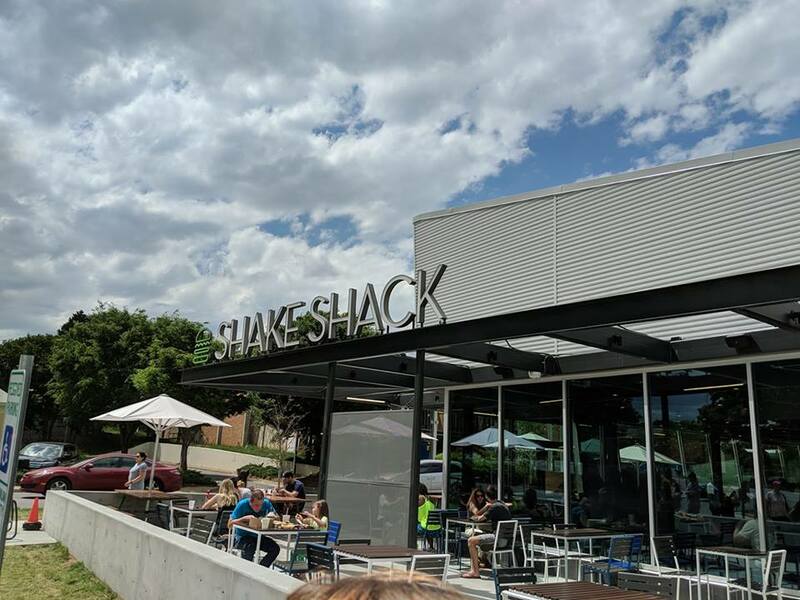 The food at Shack Shake is good and the shakes are delicious, but the price point may put it out of a lot of people’s range, especially when they are just out to grab a burger and fries. So, yes, you should definitely check out Shake Shack, even if you only go once for novelty’s sake. It is 100% worth the wait: the atmosphere is cool, the food is good, and having the famous New York eatery in our fair Queen City is rather exciting. Do you have a Shake Shake near you? Do you think it lives up to the hype? I don’t think we have any Shake Shacks in Canada but correct me if I’m wrong because that burger looks amazing! The furthest north I saw was in Minnesota at the Mall of America, but if you ever visit Charlotte, I will take you for a burger and shake!